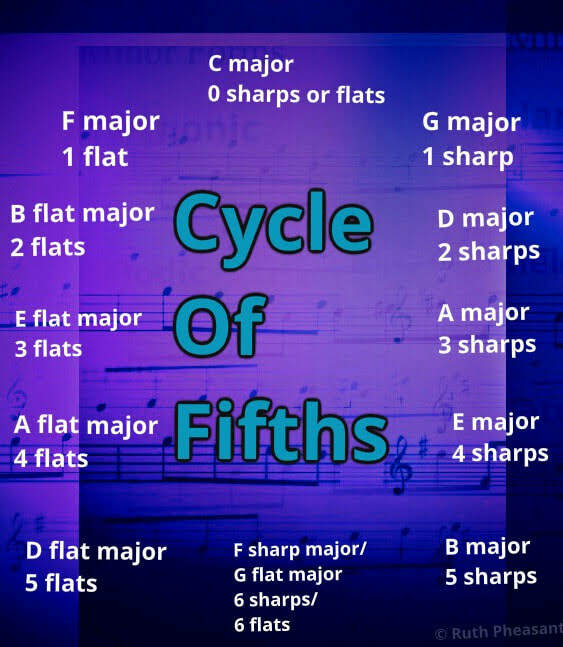 Here is a method for working out how many sharps and flats each major key has, which sharps and flats they are, and what order the sharps and flats are written in the key signature. 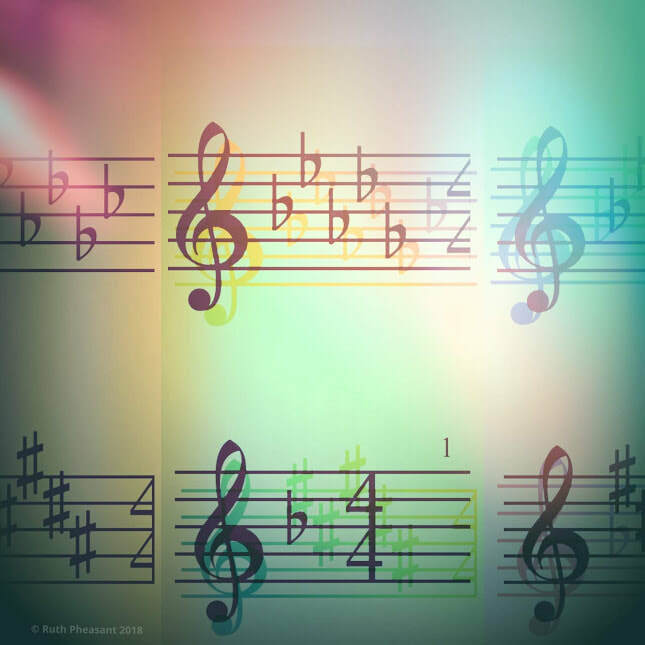 The key signature is the group of sharps and flats written at the beginning of every line (or stave) of music, and it shows which notes throughout the score should be sharpened or flattened. Looking at the key signature enables us to work out what key a piece of music is in. ​The extract of music above is in the key of C major. We can see that there are no sharps or flats in the key signature. For the key signature with one sharp (F sharp), go up a *perfect 5th from C and you get G. So G major has a key signature of one sharp, that sharp is F sharp. see the picture below. To work out key signatures with flats, start again at C, and work out everything from there. This time you need to go down a perfect fifth from each previous key. The same principle also applies to G flat major which has six flats: B, E, A, D, G and C. However all the notes in the G flat major scale are *enharmonic equivalents of the notes in an F sharp major scale, so effectively G flat major and F sharp major sound the same, and look the same on the piano. See the picture below.